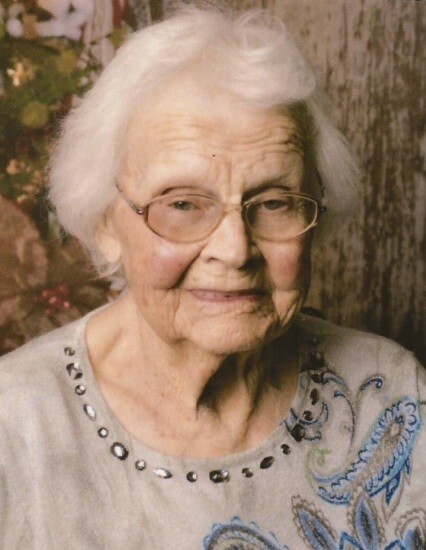 Eleanor M. Springer, 101, of New Richmond, formerly of Chippewa Falls, died Tuesday, February 5, 2019 at Deerfield Assisted Living in New Richmond. She was born February 3, 1918 in Ironwood, Michigan to Oli and Helia Maki. On April 23, 1935, she married George W. Springer in Ironwood, MI. They resided in the Detroit, MI and Bellevue, WA areas until moving to Chippewa Falls in 1945. Following George’s death, she moved to New Richmond. Eleanor retired in 1980 from the State of Wisconsin; was a lifelong member of VFW Auxiliary Post 4084; enjoyed making dolls; reading; crocheting; fishing; and jelly beans. She is survived by sons, Michael D. Springer of Merrill and Joel (Laura Jensen) Springer of Webster; two sisters, Eunice Goguen and Florence Kott, both of Michigan; grandchildren, Kirstine Neumann, Andrea Karpenski, Erin Johnston, Joel T. Springer, Debra David, Lori Hoock, Gayle Schulz, Barb Gravien, and Rob Hofmann; 21 great-grandchildren; 29 great great-grandchildren; and many nieces and nephews. three brothers, Ray, Roy and John Maki; three sisters, Viola Snell, Helen Morin, and Olivia Thomas; granddaughter, Kathleen Ferguson; two daughters-in-law, Alice and Deloris; and several nieces and nephews. A memorial service will be held at 2 p.m., Sunday, February 24 at The Deerfield in New Richmond. A private family graveside service will be held at 11 a.m. Friday, February 15 at Prairie View Cemetery, village of Lake Hallie.